The university library acquires literature on Musicology concurrent with the main research and teaching areas of the Department of Musicology and Media Studies. The holdings are comprised of current and historic, as well as national and international specialized literature for teaching and research. The library holds an exceptionally large amount of literature on popular music. This can be accredited to the pioneering role of the Department of Musicology in that field; the department has had a chair of popular music since 1983. There is an increased focus on acquiring electronic resources (e-journals, databases, e-books), which HU members can access from anywhere via Open VPN. Ludwig van Beethoven: 33 Veränderungen über einen Walzer von Anton Diabelli für Klavier Op. 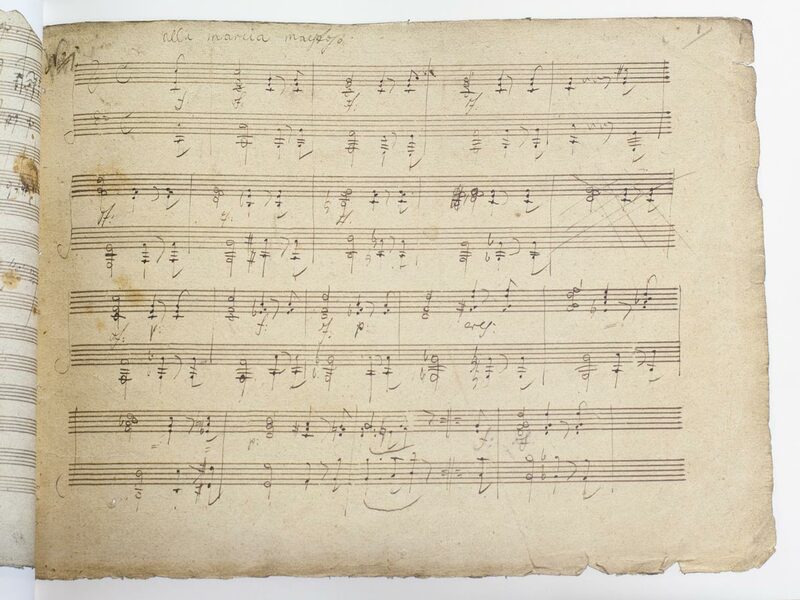 120, Variation 1 — Facsimile of the Autograph, publisher Beethoven-Haus Boon 2010. We thank Beethoven-Haus Bonn for the friendly permission for reproduction.